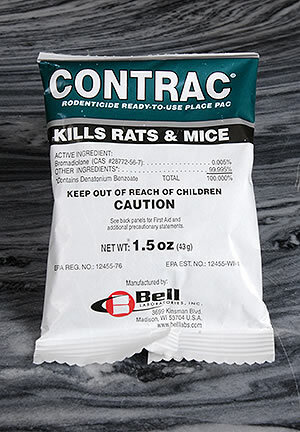 CONTRAC Rodenticide, with the active ingredient, Bromadiolone, is a fresh tasting, highly compressed pelleted bait that holds up well, particularly in adverse or moist conditions. 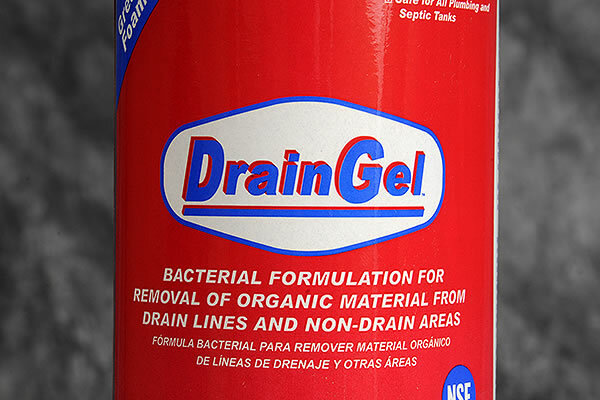 It is an excellent clean-out and maintenance bait to control mice and rats, including warfarin-resistant Norway rats. 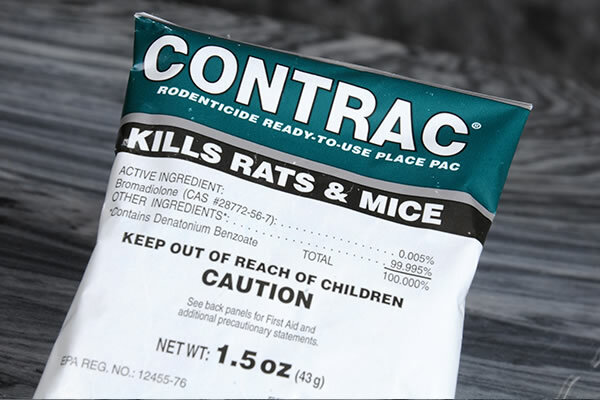 CONTRAC comes in pre-measured polyglassine place pacs that keep pellets fresh and free from contamination until rodents open the place pacs with their gnawing. 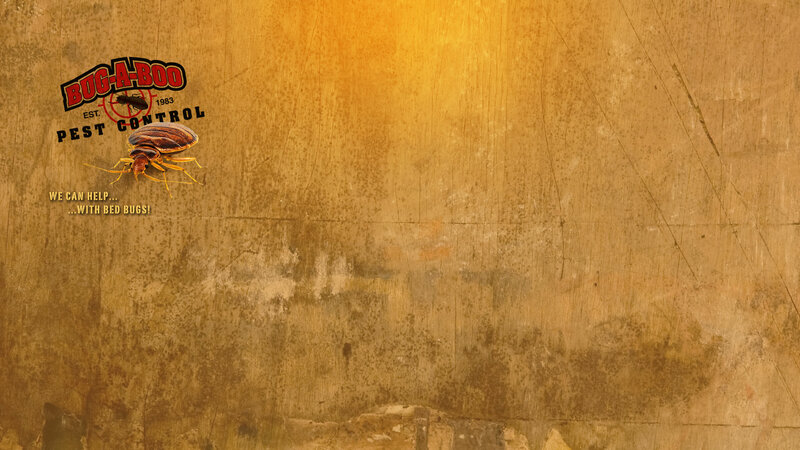 The slender place pacs can be used in hard-to-reach locations or in bait stations placed along rodent runways. The versatile place pacs can also be used in burrows as needed.